Remember folks that our physical shop is closed till January 2018. In the meantime, you can make an order and request our catalog via email; chillimangodesigns[at]gmail[dot]com or find us at these markets listed above. 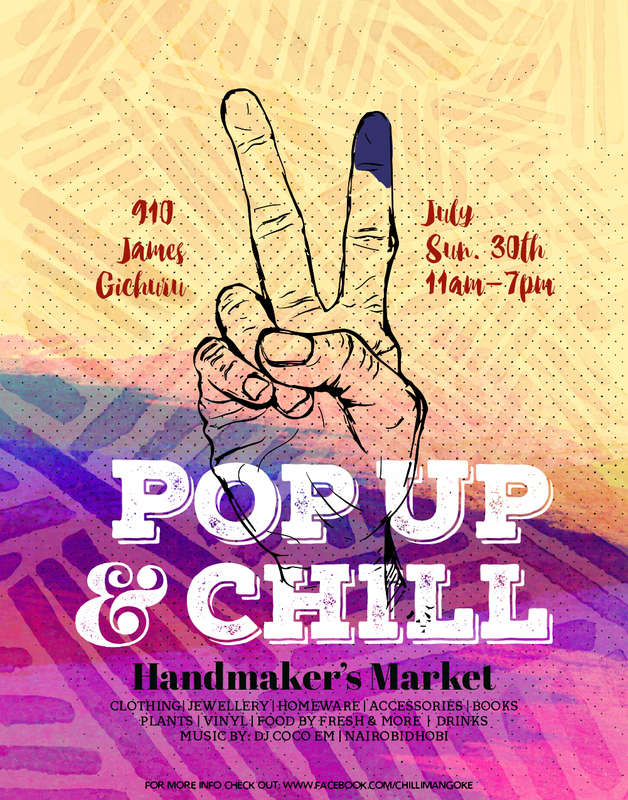 We’re back at it again with the 4th edition of Pop Up & Chill this Sunday 30th July; featuring a carefully curated array of artisans and collectors bringing handmade, eco holistic and vintage goods, and items inspired by Africa and made in Kenya. This time with extended hours 11am – 7pm (as requested by you) for you to enjoy your shopping and chilling experience. The market will be held at the lush garden at 910 James Gichuru. The event is free to the public and kid friendly. Healthy food, baked goods, and yummy Sangrias amongst other drinks will also be available for purchase. Music will be by our favourite DJs, Coco Em and Nairobidhobi. 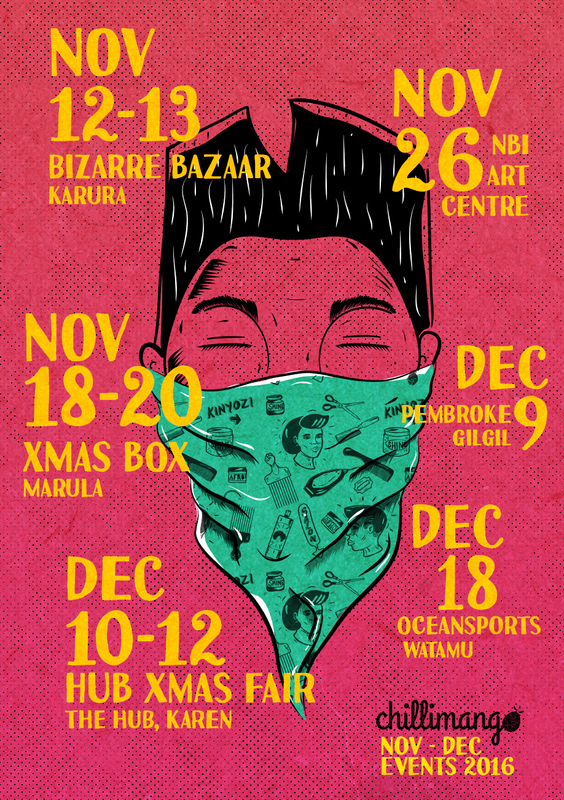 Come through for some funky clothing, jewellery, homeware, books, plants, vinyl and support local independent makers. For queries kindly email popupandchill[at]gmail[dot]com. 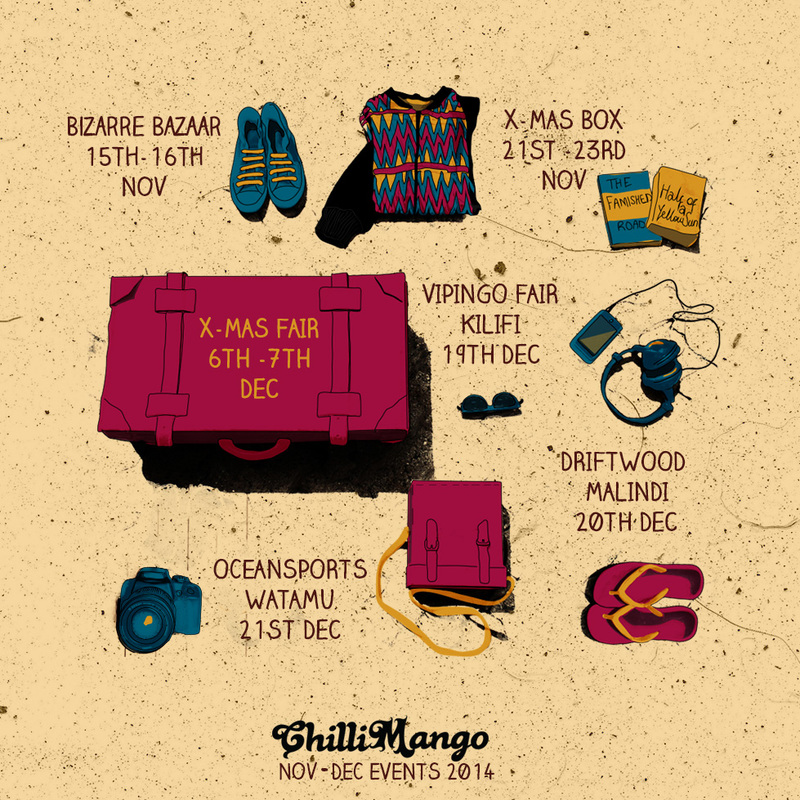 Pop Up and chill returns with the 3rd edition featuring a carefully curated array of artisans and collectors bringing handmade, eco, holistic and vintage goods, and items inspired by Africa and made in Kenya. We will also use this opportunity to launch our new designs. The market will be held at the lush garden at 910 James Gichuru. The event is free to the public and kid friendly. Healthy food, baked goods, and drinks will also be available for purchase. Music will be by our favourite DJs, Coco Em and Nairobidhobi and this time with a guest DJ, DJ Bor. 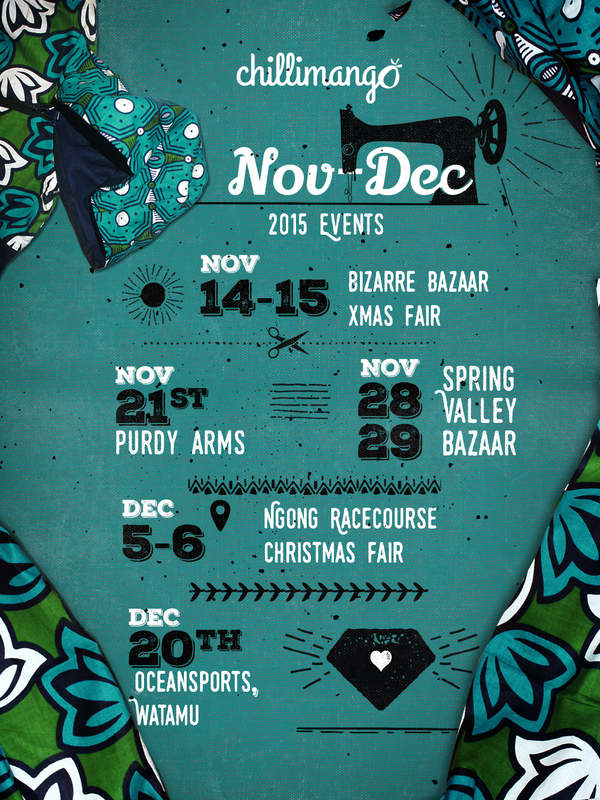 Folks these are the craft fairs you’ll find us at over November and December. You can also find us at our shop in between the fairs at the Nairobi Art Centre in Lavington opposite Lavington Mall where we’re open Monday to Saturday 11am – 5pm. We will also be launching our website and lookbook later this month. Inspired by the classic African Barbershop and Salon signage style, this design started off as a fabric pattern but we just couldn’t resist making it into a t-shirt print. We first printed the pattern on Canvas then made some super cool tote bags and pouches as seen below. All derivatives; t-shirts, posters, postcards, bags and fabric (by the metre) are available for purchase at our new space at the Nairobi Art Centre in Lavington opposite the Lavington Mall. We’re open Monday to Saturday 11am – 5pm. 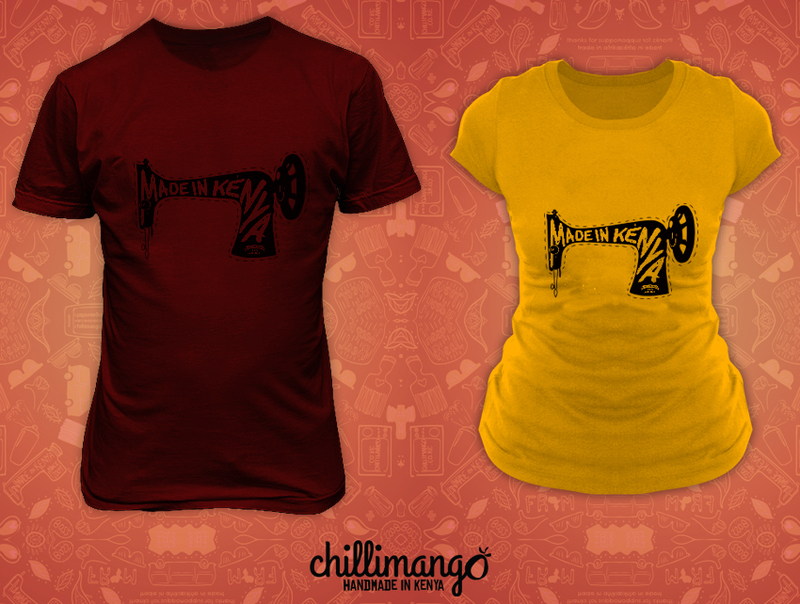 For queries and orders, feel free to reach us on phone 0727 361 932 or via email: chillimangodesigns [at] gmail [dot] com. Paa is a Swahili word that means to soar. 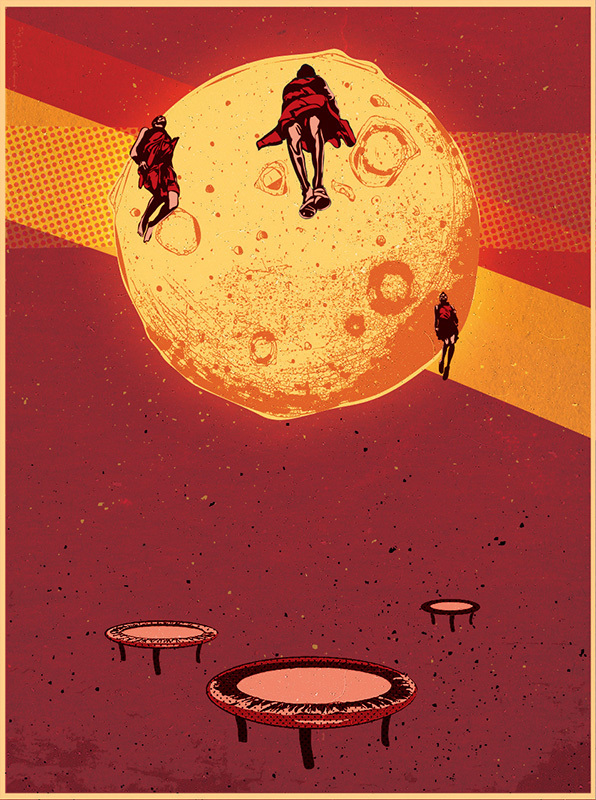 Just as the jumping dance is a rite of passage, this design represents our own coming of age. It’s been 5 years since we officially started ChilliMango y’all. Not only have we released this design to commemorate our 5th year in business but we will also be moving shop from our Ngong road studio to a new, bigger and better space that will be announced in due time. 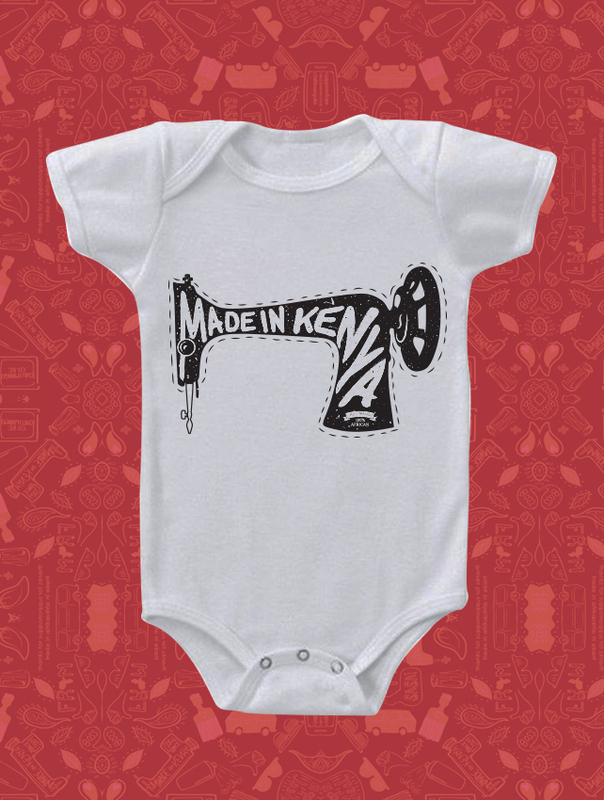 As you can expect from a company named after a tasty childhood treat, all our designs are pretty personal in some way or other, and ‘Made In Kenya’ is an ethos that’s close to our hearts. Beyond shouting out a really special country, we feel that this design encapsulates a lot of stuff we’ve been thinking and talking a lot about. 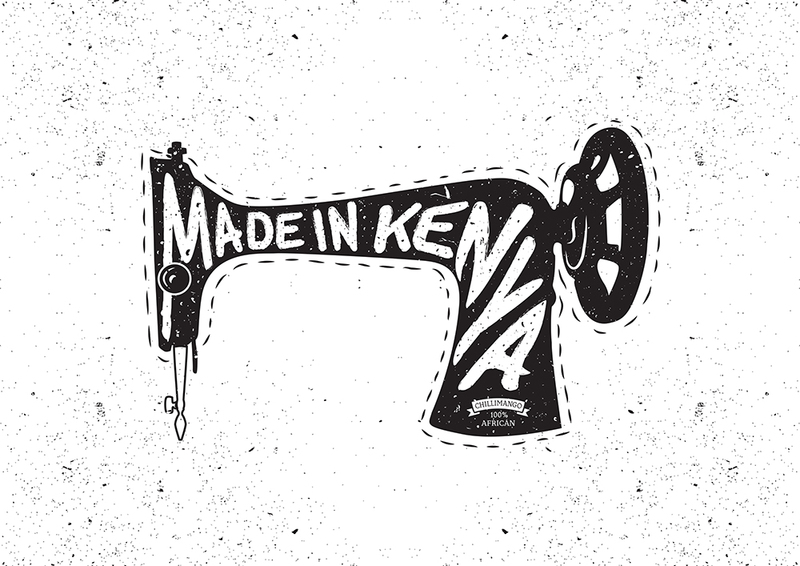 This design is about the people who are working to build local economies, and brands that have cultural currency in Kenya, and the world. This design is about supporting those people, whether it be the local mama mboga, musician, designer, artist, jua kali guy e.t.c. 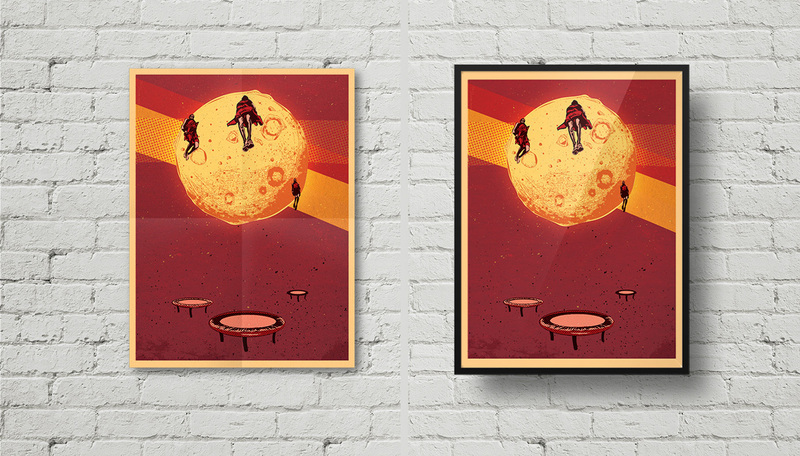 We feel it’s important to create stuff that inspires people, that makes their day in some way or other, and we also feel that it’s important to support the people that are creating these things. The thing about most small local businesses is that they tend to be more ethical, environmentally friendly than your regular multinational company. Now wouldn’t it be great if we all supported local producers rather than sweatshop factories and nature destroyers who are only out for profit without regard for the future generations and the earth. We really appreciate the ChilliMango massive for all the support, and for letting us know that it’s possible to build something like this in our city. It’s hard to create handmade products and sometimes you interact with people who don’t necessarily understand everything that goes into it but it’s great to see more people buying locally produced products. You guys are awesome!! 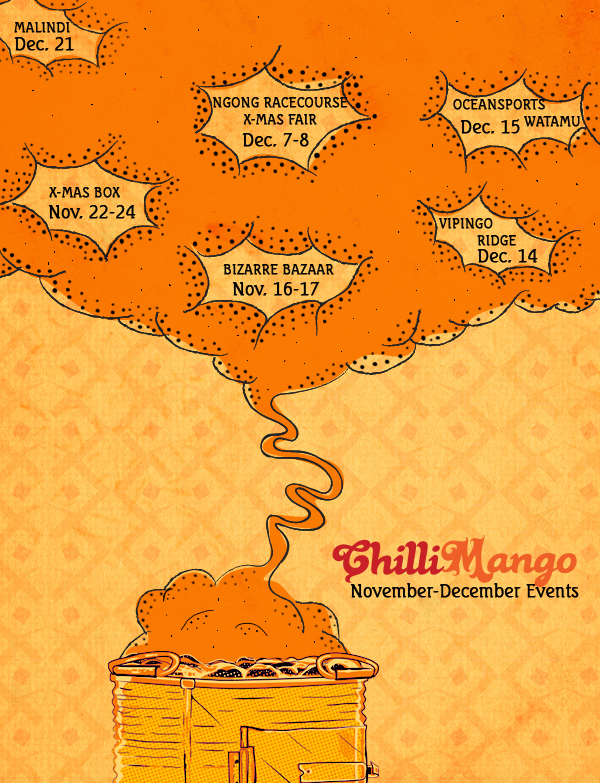 To place your order, drop us an e-mail; thechilli[at]chillimango[.]co[. ]ke or chillimangodesigns[at]gmail[.]com. You can also visit our studio on Ngong road between Nakumatt Junction & Brew Bistro at a building with red bricks opposite Kenya Science Campus & next to Nazish motors inside a black & white gate. We’re at the topmost floor, 1st door on the left. We are open between 11am – 5pm, Monday – Saturday. 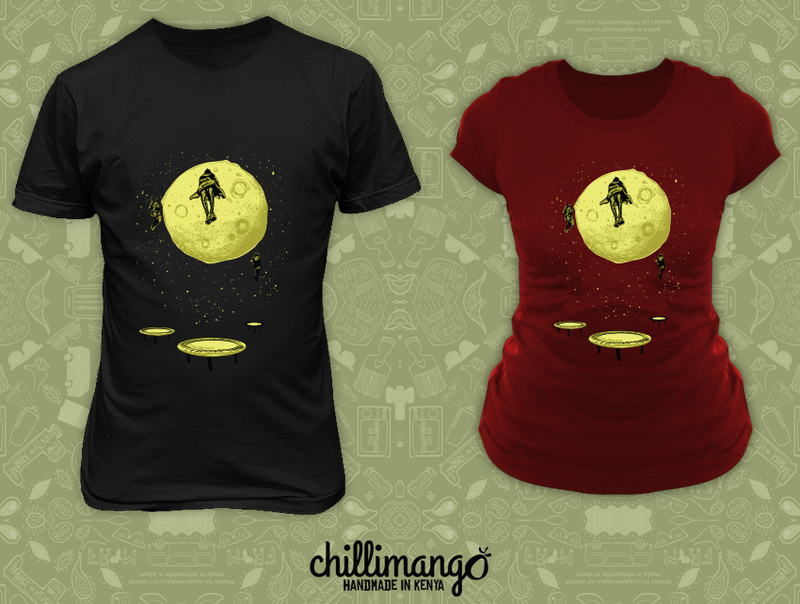 Also, watch out for a fresh new design coming out soon.